This item is part of Green Creative HID LED series for outdoor post top applications. 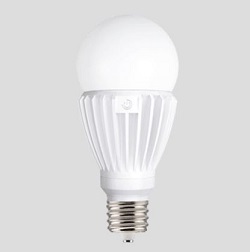 It has a high lumen output and it is measured to be 45 watts with a light output of 5,400 lumens. This allows it to give a color. It is suitable for enclosed fixtures for different settings. It has a 5 year warranty with 50,000 life hours expected.